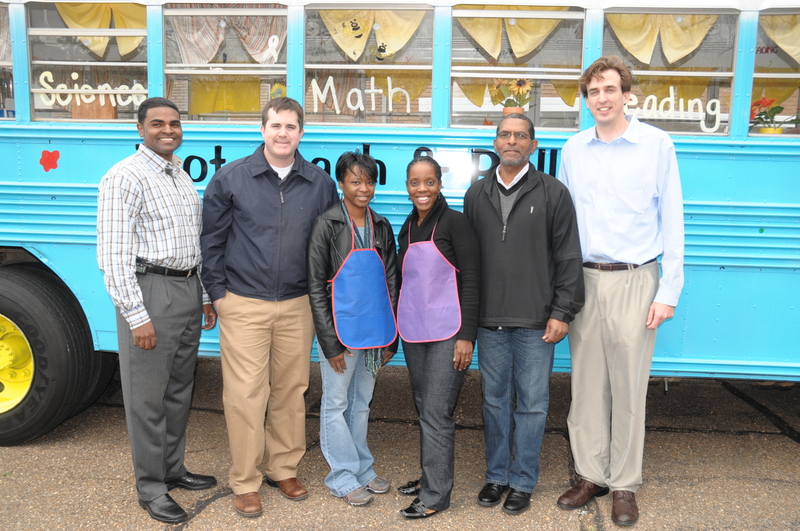 Included in the photo (from left) Brian Johnson, Jud Watkins, Andrea Jones, Aisha Nyandoro, Bobby James, Kelly McMullan. Leadership Greater Jackson’s Class of 2012 Team Barr recently kicked off their first project at Barr Elementary School in Jackson. They held a Bulldog Bistro which included the team showing the kids fun ways to exercise and how to make fruit smoothies. The Leadership Greater Jackson Program, which is a program of the Greater Jackson Chamber Partnership, is a community-wide leadership program that develops existing and emerging leaders in the metro area. The program is designed to educate participants about major community issues and alternate approaches to solutions to community problems. If you like the photo above, there’s more where that came from. Check out the rest of the pictures on the Chamber’s Facebook page.